Lalah Hathaway says: This album is a dream fulfilled! It means everything to me to have built this record with and for the fans, as I mark my 25th year as a recording artist. I cannot wait to take this show on the road!!! Hathaway recorded her album live at the historic Troubadour Theater in Los Angeles earlier this year, in the same place where her father recorded half of his seminal 1972 album Donny Hathaway Live. 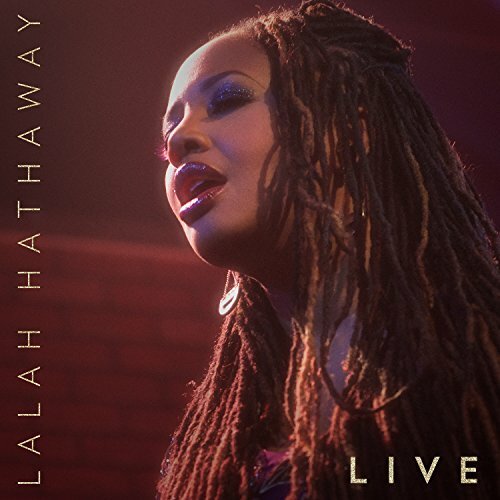 Her seventh album Lalah Hathaway LIVE!, delivers the full-force and intimate live Lalah Hathaway experience that fans everywhere love. If you have any questions about this product by Ent. One Music, contact us by completing and submitting the form below. If you are looking for a specif part number, please include it with your message.